Dempsey Plumbing...New Smyrna Beach's First Choice For Knowledgeable, Professional Plumbing & Remodeling Services! Sewer Line Cleaning, Repair & Replacement - And Much More! 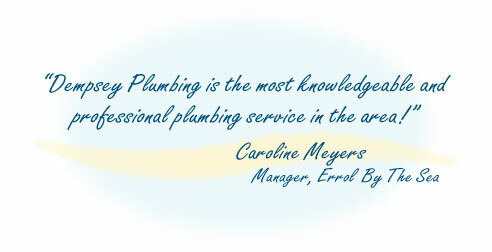 We Specialize In Condominium Plumbing Repair...No Job Is Too Large! Take Your Project From Concept to Completion With One Phone Call! 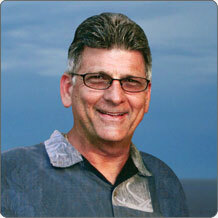 Since 1984, David Dempsey has provided quality plumbing services to the residents and businesses of New Smyrna Beach. A licensed Master Plumbing Contractor, David has extensive knowledge and experience in both residential and commercial plumbing and remodeling. Whether you're building a new home or office, or interested in remodeling an existing kitchen or bathroom, the professionals at Dempsey Plumbing are ready to help you bring your design dreams into reality!